Burgers are a big feature in our diet. They make such a tasty, convenient meal or breakfast any time of the day. Plus, ground meat is often cheaper to buy than whole cuts of meat. Just try to source the grass-fed variety and other paleo diet shopping from a trusted butcher. After that, it’s great fun exploring different combinations of meats and herbs. We often compete for the best burger recipe. Everyone who knows me knows I’m a red meat man. 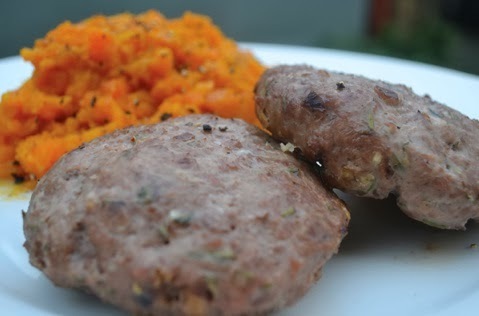 My paleo breakfast burgers of choice are usually beef, lamb, or wild meats like zebra, wagyu beef, and camel. (Don’t knock it until you’ve tried it.) Stronger tasting meats are really complemented with more distinctive flavors such as garlic, onions, chili, mustard, or tomato. Lots of us love a roast turkey, but cooking with ground turkey can be a little trickier as it doesn’t have the same juicy flavors as a big oven-roasted bird. 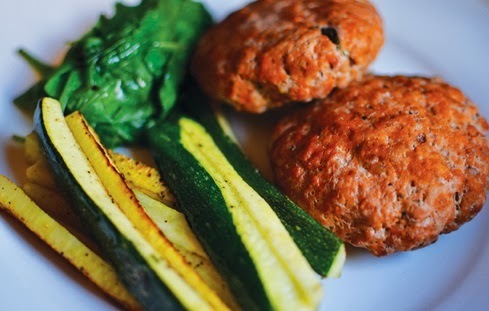 We add lots of tarragon to turbo-boost the taste of a turkey burger, not to mention pack in some fantastic antioxidants. Peel the carrots and slice them into thin fries. Place the carrots on a baking sheet, squeeze the lemon juice over them, and sprinkle with half the garlic. While the carrots are cooking, place the ground turkey in a large bowl and add the egg, the remaining garlic, and the tarragon. Using clean hands, mix all the ingredients together and shape into burger patties. Place the patties on a grill pan and bake for 20–25 minutes. 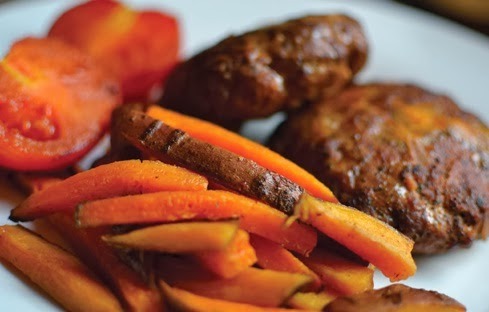 Once cooked, serve the paleo burgers with the citrus carrot fries. Ground pork, chicken, or turkey all work with this Thai-style combination of lime, chili, and cilantro. Using clean hands, combine the meat, fish sauce, egg, lime juice, garlic, cilantro, chili, salt, and pepper in a large bowl. Shape the mixture into burger patties, and place on a grill tray. 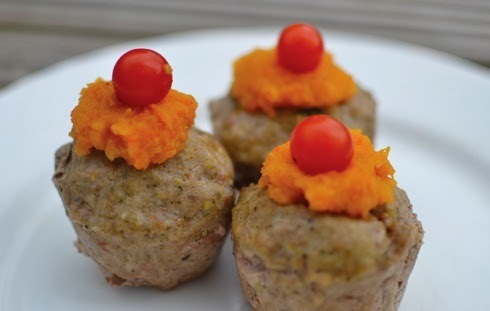 These meaty cupcakes are a bit of fun, making them great for appetizers and party food. We use a dairy-free raw pesto called Seggiano in this recipe, but if you’re OK with dairy, any organic brand will do. Dairy-free or otherwise, pesto is a simple, easy way to enhance the flavor of any kind of burger recipe. Mix the meat, pesto, egg, salt and pepper in a large bowl with clean hands. Roll into a ball and mold to form a cupcake shape. Alternatively, you can shape the meat into standard burger patties. Place the meat on a grill pan and bake for 20–25 minutes. Once cooked, top with a teaspoon of Butternut Smash and a cherry tomato. Chestnuts provide a good source of natural carbohydrates. We like to use chestnut flour for baking and add whole chestnuts to roasted vegetables, stuffing, or of course burgers! In a large bowl, combine the ground turkey, egg, garlic, rosemary, salt, and pepper. Chop the chestnuts and add them to the mixture. Using clean hands, mix all the ingredients together and shape the mixture into burger patties. Place on a grill pan and bake for 20 minutes. 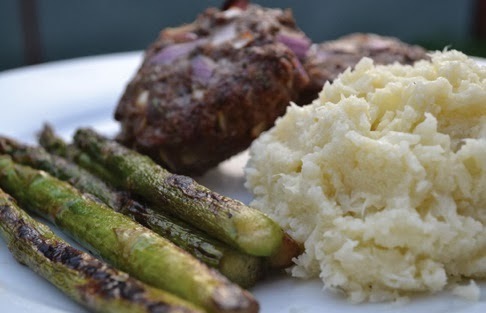 Lamb tastes great infused with blends of spices like cumin, smoked paprika, and ground coriander. In this recipe, we use cumin, garlic, and tomato paste, but you can try experimenting with your own spice mixes, too. In a large bowl, combine the ground lamb, egg, garlic, cumin, tomato paste, salt, and pepper. Place on a grill pan and bake for 20–25 minutes. Place the ground beef in a large bowl. Using clean hands, combine with the chorizo, egg, tomato paste, and chopped onion. Shape the mixture into burger patties and place on a grill tray. Roast beef and mustard chips are a favorite in the UK. We’ve made this winning flavor combination one our favorite burgers instead! Using clean hands, combine all the ingredients in a large bowl. Shape the mixture into burger patties. For interesting information and tips on weightloss on diet, stay tuned on this blog!